Features: Almaza Bay offers a mesmerizing experience with its crystal clear blue waters and beach which spreads over a 5 km stretch of white sand. Beachtown, the pulse of Almaza Bay, is the hub where it all happens. Defined by the principles of nature, the spacing and pathways blend effortlessly within the landscaping. Beachtown incorporates different landmarks for every area that serves the community by making the landscape familiar and easy to navigate. Every landmark is unique and inspired by what surrounds it. Beachtown offers something for everyone, from fancy dining to chilled outdoor gatherings while the kids play in the surrounding playgrounds. Amenities: Upon completion Almaza Bay will redefine what we know as an Egyptian Mediterranean mixed-use development with over 5,000 residential units, an active marina, a retail urban center, various food and beverage outlets, outdoor dining experiences, and a sporting club. This is in addition to a wide variety of services, facilities and hospitality offerings among its 5-star hotels available to choose from such as the spa, tennis courts, football fields, and water sport activities. Finishing Specifications: Beachtown is one of Sahel’s first apartment complex/developments offering turn-key solutions where all units are fully finished, ensuring a hassle-free experience. 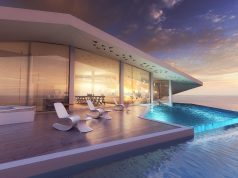 Almaza Bay Residences & The Selection offer sea-front villas and town-homes whose owners tend to be a bit more specific with their demands when it comes to finishing so they opt to use their own contractors. There is a variety of special finishing and furnishing packages available for homeowners to choose from in partnership with Egypt’s top interior designers and contractors. 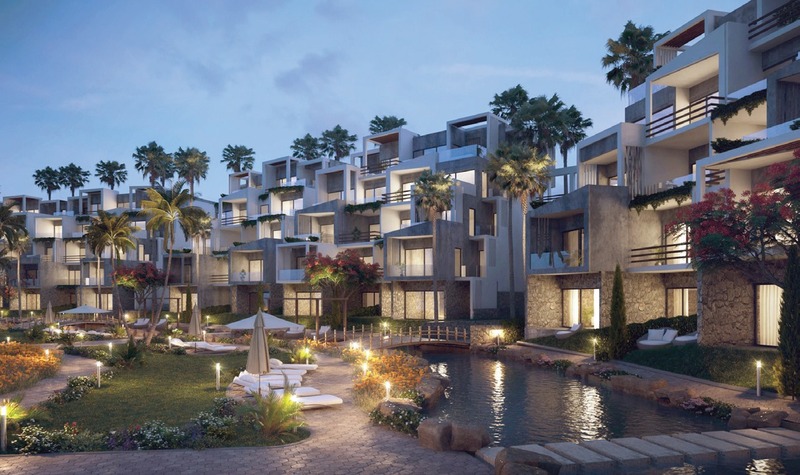 Date of Delivery: Almaza Bay Residences is rapidly developing a strong sense of community as a significant number of homeowners have already settled into their new summer homes. Further information on delivery time frames can be obtained from the developer. Location: AMWAJ is located in Sidi Abdel Rahman Bay, perfectly situated in the middle of the North Coast resort area. Available Units: There are around 440 units still available. Chalets of 144 m2, with the option of ground + garden and first floor, or second floor + roof. Twin Villas 222 m2. Separate Villas 275 m2. Attractive Features: The resort enjoys a great location, a friendly community, distinctive architecture and landscaping and a wide range of facilities and services. The beachfront extends for 1.3 km, there are over 30 swimming pools, in addition to a dedicated ladies’ pool and beach. Residents also benefit from retail facilities inside the compound, with Rivette being the biggest commercial hub on the North Coast. Finishing Specifications: Units are delivered fully finished. Payment Plans and Facilities: Phase1, 2, 3: 60% deposit with the rest over 6 quarterly instalments (1.5 years). Phase 4: 30% deposit with the rest over 15 quarterly instalments (3.75 years). Last Phase: 20% deposit with the rest over 19 quarterly instalments (4.75 years) 5% maintenance fees for each unit are added. Date of Delivery: Phase1, 2 and 3 are ready to deliver. Phase 4 and Last Phase: Delivery in 2019, 2020, and 2021. Location: Bianchi is situated in a prime location, 134 km along the Alex-Matrouh Road of the North Coast. Available Units: 10 of a total of 30 units are still available in building C, located in Phase 1, sizes range from 120 m2 to 214 m2. Almost all units enjoy a sea view due to the elevated location. Attractive Features: There is a great community spirit and the compound offers privacy and security. Residents enjoy use of a clubhouse, pool, bar, beach bar, Wellspring, La Coupe Hair Salon, Salt, Shisha & Narbisha, Tablia and Cheers restaurants. Finishing Specifications: Greek style, fully finished apartments. Payment Plans and Facilities: 3-year instalment plans. Date of Delivery: Building C delivery March 2019 with Phase 2 being launched soon. Phase 1: There are a few units available. Building C: Under construction, with 10 units still available. Location: North Edge Towers are situated at Km 107, on the Alexandria- Matrouh North Coast Road, in New Alamein City. Available Units: North Edge Towers offers over 300 residential units with sizes ranging between 90 m2 and 351 m2, featuring 1 to 4-bedroom apartments. All North Edge Towers homes enjoy a waterfront view; the majority of units overlook the sea while the remaining few enjoy a view of the lagoon. Attractive Features: Occupying a premium spot on New Alamein’s sea lines, the five towers provide state-of-the-art living standards and prioritize convenience with dedicated amenities, retail, and commercial areas. The New Alamein City also includes six hotels, restaurants, cafes, spas, a gym, walking and bike lanes, museums, and an Opera House. North Edge Towers offer the ultimate blend of urban living and a vibrant lifestyle. Designed with a plug-and-play philosophy, North Edge Towers are equipped with all the necessary elements that fulfill an effortless living experience through installing building management systems which control ventilation, lighting, power, security, and fire alarms, along with property facility management solutions. Finishing Specifications: In addition to central air conditioning and double-glazed windows, all units will be delivered with fully-finished interiors. The majority of North Edge Towers apartments enjoy a decorative painted gypsum board ceiling, providing convenient distribution of lighting across the entire unit. All reception spaces and terraces are embellished with porcelain ceramic tiled floors, while bedrooms are supplied with HPL flooring. 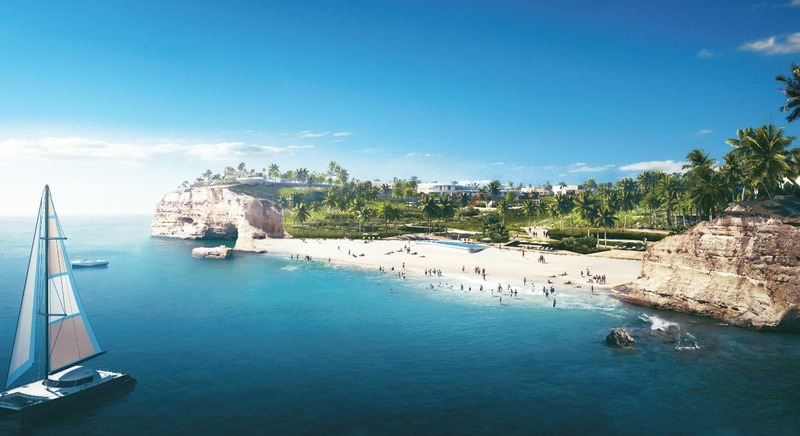 Plans for future expansion: There are plans to develop another 600-acre gated compound and a beach front commercial project, in New Alamein. 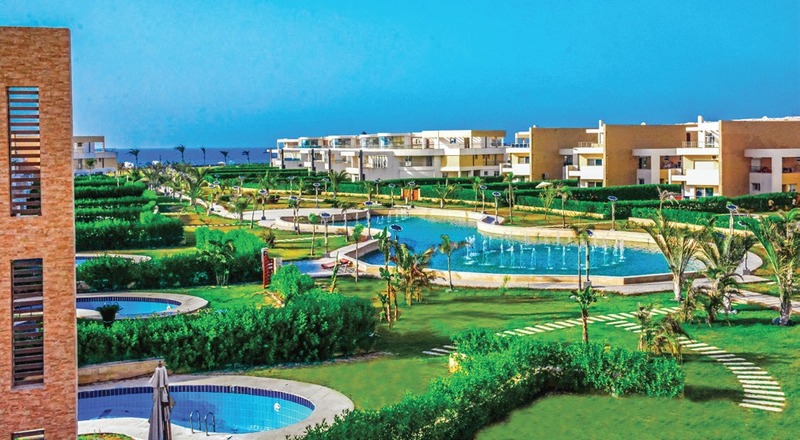 Location: Enjoying a prime North Coast spot, Coast 82 is situated at Km 82 of the Marsa Matrouh Road. Attractive Features: Coast 82 boasts a 500m beach, a beach club house, and landscaping with valleys and lagoons. Amenities include a 5-star hotel, a commercial area, a mosque and a storage area. Payment Plans and Facilities: There is an 8-year payment plan. land with a beach front stretched over 1 km. staggered chalets next to standalones right on the beach. more units to enjoy a sea view. to crystal lagoons, 35% open spaces and 17% roads. keep fit and enjoy relaxing in the parks. vegetables and rain barrels for the villas. playground, mosque and drivers’ housing. Unit spaces range from 110 m2 to 580 m2. Finishing Specifications: All units are fully finished. Location: Fouka Bay is located on Ras El Hekma Bay on the North Coast, on around 250 acres with an extended 1km long coastal frontage. 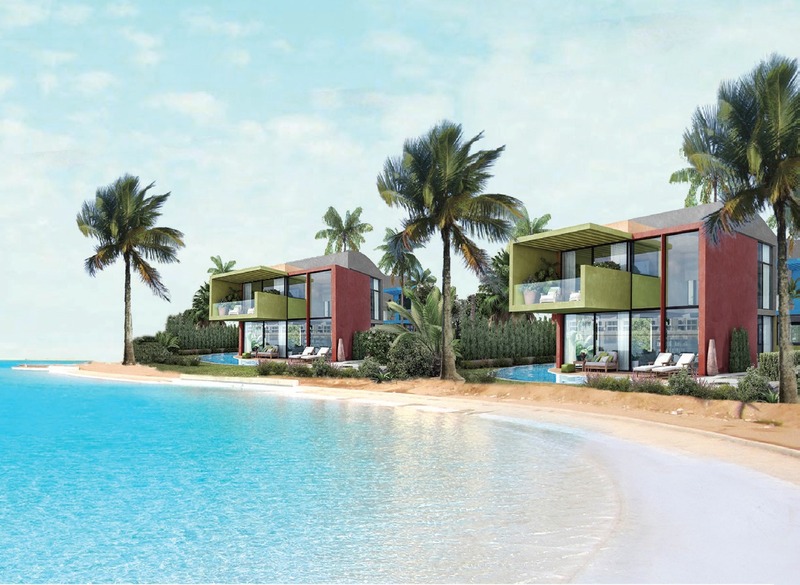 Available Units: Seafront and Waterfront Villas: 235 m2 up to 600 m2. Chalets: 125 m2 up to 180 m2. Serviced Apartments: 100 m2 up to 200 m2. 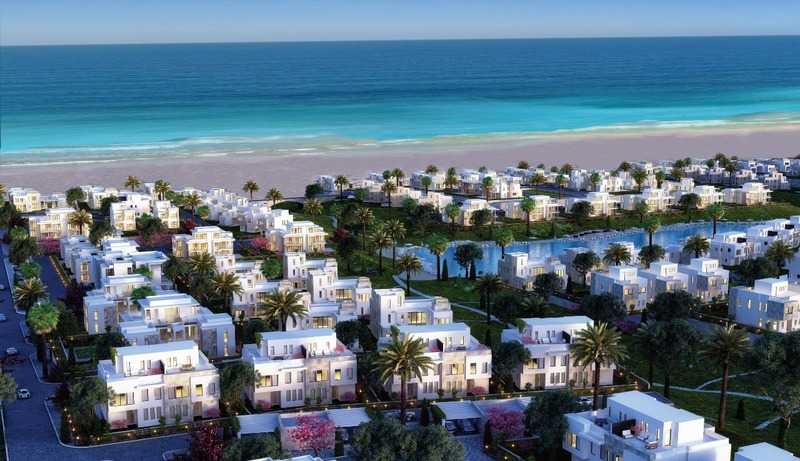 The uniqueness of Fouka Bay’s master plan design ensures that the majority of units have a sea or lagoon view. Attractive Features: Fouka Bay brings an innovative vision of contemporary simplicity with 12 island clusters, engulfed by a 7 km shoreline of Crystal Lagoons. To create a unique, yet lively environment for home owners, Fouka Bay has created a project that boasts a number of amenities and lifestyle options. 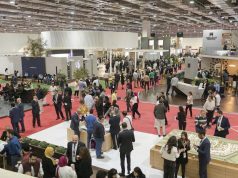 These include hotels, serviced apartments, a diverse range of lifestyle activities, and a wide array of food and beverage outlets, as well as wellness, fitness, and spa options. Finishing Specifications: All units are delivered fully-finished, designed by Mona Hussein. Date of Delivery: Phase I of Fouka Bay is projected for delivery by the end of 2018. Payment plans and facilities: 5% downpayment and equal installments over 8 years. 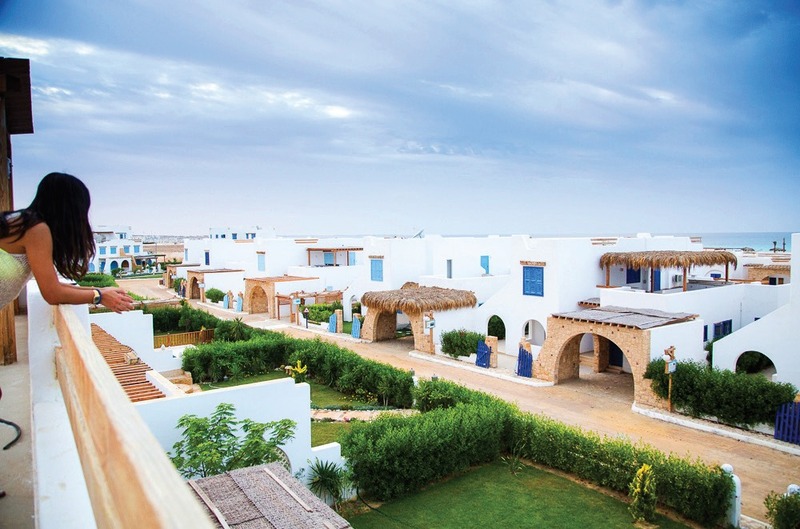 Location: Conveniently situated in the heart of the North Coast, Hacienda West is located at Km 84 of the Matrouh highway. Available Units: The resort provides a perfect product mix for clients, offering a range of units from 1-bedroom beach condos up to 6 bedroom villas. This includes cabins, chalets, twin-houses and villas of different types. Over 40 units enjoy a wonderful sea view. Attractive Features: As a boutique development, Hacienda West has an intimate, community vibe. It is a small project with a unique master plan that offers personalized facilities for the residents. 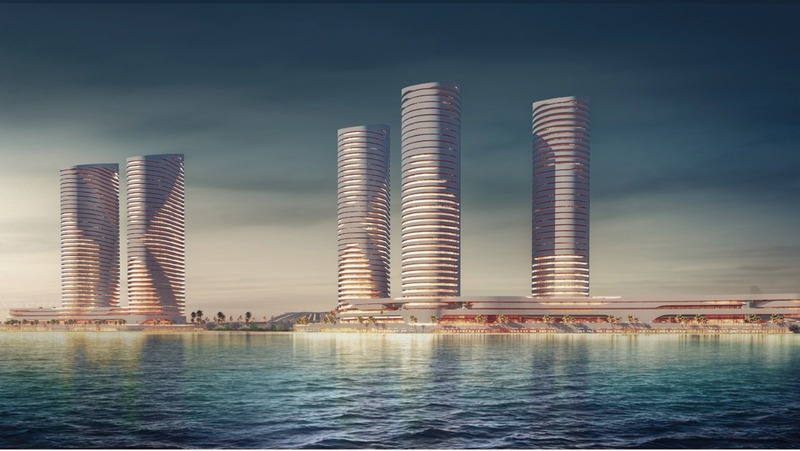 Amenities will include a beach club, a restaurant and many other leisure and lifestyle activities. Finishing Specifications: Property owners have the option of receiving their units fully finished or core and shell. Payment Plans and Facilities: There is a unique payment plan. Please call the developer to receive more details. Location: Jefaira is located 100 km away from Marsa Matruh, 200 km from Alexandria, 300 km from Cairo, 20 km from the Dabaa new road and 90 km from El Alamein road. 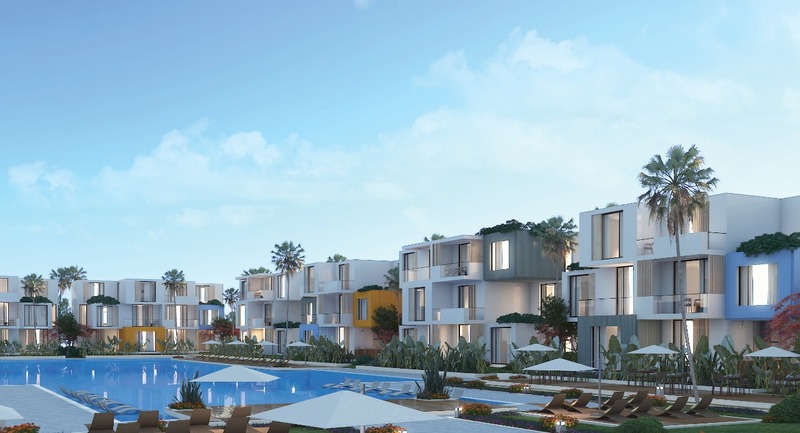 Available Units: Jefaira is stretched over 5.5 million square meters that overlook the enigmatic shores of the Mediterranean on the Egyptian North Coast. Units and their sizes in meters include: • Sea Front Standalone: 387 m2 • Sea View Villas: 340 m2 to 510 m2 • Villas: 238 m2 to 309 m2 • Twin Houses: 165 m2 to 253 m2 • Chalets: 121 m2 to 225 m2 • Condos: 100 m2 to 183 m2 Attractive Features: Jefaira has a unique topography that varies from white sandy beaches to a cliff that reaches up to 40 m above sea level, which allows the project to have a one of a kind product, cliff top villas overlooking the Mediterranean Sea. Unique cove beaches that are naturally sculptured provide a feeling like nowhere else in the North Coast. Jefaira is the first to introduce a sea view apartment building located in the second or third row, overlooking the sea. Jefaira will include a promenade that stretches the full width of the land (3.6 km); a marina with retail outlets, hotels, sports facilities, educational facilities, medical facilities, a convention center, a downtown area and a park. Finishing Specifications: The Furl Neighbourhood and The Quayside Neighbourhood: Fully finished without kitchen cabinets and ready for A/C. The Seacliff Neighbourhood: Fully-finished with A/C and kitchen cabinets. Payment Plans and Facilities: The Furl Neighbourhood and The Quayside Neighbourhood: 10% down-payment, installments over 7 years. The Seacliff Neighbourhood: 5% down-payment, 5% after 3 months, installments over 7 years. Date of Delivery: Delivery starting 2021. There are more phases in the pipeline. 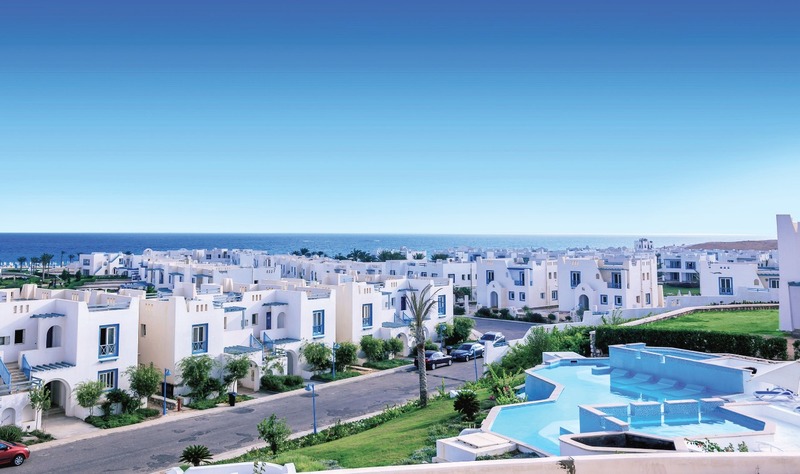 Location: Kai Sahel enjoys a prime position in Fouka, Ras El Hekma, at Km 221 of the North Coast Road. Available Units: The resort offers a mix of two or three bedroom chalets, townhouses, twin houses and villas within 207 acres of landscaping. All of the contemporary, architect-designed units have a water view; either lagoon, pool, spring, lake or sea. As the landscape has been levelled to optimize the view, the first four rows of villas enjoy a full sea view. Attractive Features: Kai Sahel has attractive water features, beaches, a pier, a walking promenade, a sports club, many club houses and parks, and an International hotel Chain. Fine dining is available at the Pier, and spa facilities for relaxing massages add to the relaxing atmosphere. Throughout the resort the focus is on creating a friendly, community environment where all members of the family can enjoy nature alongside the many amenities. Finishing Specifications: Chalets come fully finished, with upgraded finishing and furnishing options available. Payment Plans and Facilities: There are different payment plans, with up to 10 years of instalments. Date of Delivery: 2021 Future Expansion: There is a new phase launching soon. Location: Mountain View – The Greek Islands is situated in the Ras El Hekma area, 15 km east of Ras El Hikma and 50 km west of Al Alamein Airport. Available Units: • Standalone – Built up area 225 m2 • Twinhomes – Built up area 154.50 m2 • Boutique Villa – Built up area 210 m2 • Chalet – Garden Floor 127 m2, First Floor 115 m2, Penthouse 140 m2 20% of the units enjoy a sea view, the remaining units have a pool or lagoon view. Attractive Features: The resort boasts a 800m beach, a ladies’ beach, 19 swimming pools, a promenade, an 1800m swimmable lagoon, a community center, a kids’ area, pedestrian park trails and sidewalks, and food and beverage outlets, including Si Omar Restaurant. For shopping and services there is also Agora commercial area. The Greek Islands are: Acropolis – Corfu – Rhodes – Santorini – Mykonos – Tinos – Amorgos – Samos – Paros Finishing Specifications: Chalets are delivered fully finished. Payment Plans and Facilities: 10% Down payment with balance in instalments over 6 years. Date of Delivery: 2022 Future Expansion: There are plans for launching new phases. Location: Conveniently located in Sidi Heneish, WhiteBay is situated 230 km along the Alexandria road, 50 km before Marsa Matrouh. This ideal location offers a pristine beach with stretches of white sand edging the crystalline turquoise sea, providing a serene setting. Available Units: There are many unit options, suited to all tastes and preferences. These cover standalone villas, twin villas, townhouses, ground floor chalets, standard chalets, typical floor chalets, standard chalets, and amazing SkyVillas (penthouses with roof-top pools) and Sky Condos. 60% of the units enjoy a sea view. Attractive Features: Every unit, from chalet to villa is a smart home, with technology installed to meet all the comfort and convenience of today’s lifestyle needs. The combination of the latest technology and the beauty of the natural surroundings blends the best of both worlds. WhiteBay offers a select community with dedicated attention to the quality of life of all residents. Amenities include restaurants, a commercial facility, a spa, a hotel, pools, a 14,000 m2 lagoon, a fully equipped clubhouse and a business center. Finishing Specifications: High end finishing with smart home active features. Smart homes are tiered based on the unit type, but everyone has a smart home. Payment Plans and Facilities: Up to 8 years. Date of Delivery: Summer 2019. Location: Bo Sidi Abdelrahman is located at Km 120 on the Alexandria/ Marsa Matrouh North Coast road. Available Units: Bo Islands: Chalets and villas. Chalets are either 133.23m2 or 166.91m2, while villas range from 229.96m2 up to 584.14m2. Bo Sands: Chalets ranging from 61m2 to 214m2. All units enjoy water frontage and the project is only built on 12% of the area with 88% dedicated to landscaping, hardscape and crystal lagoons. 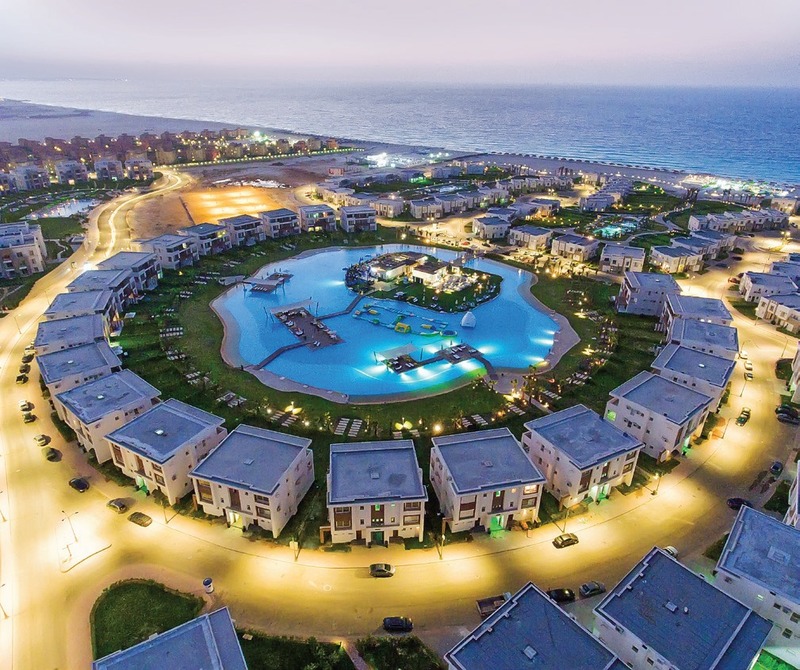 Attractive Features: Bo Sidi Abdelrahman is situated on a 1,000 m beach, with an 800 m walkway along the bay. 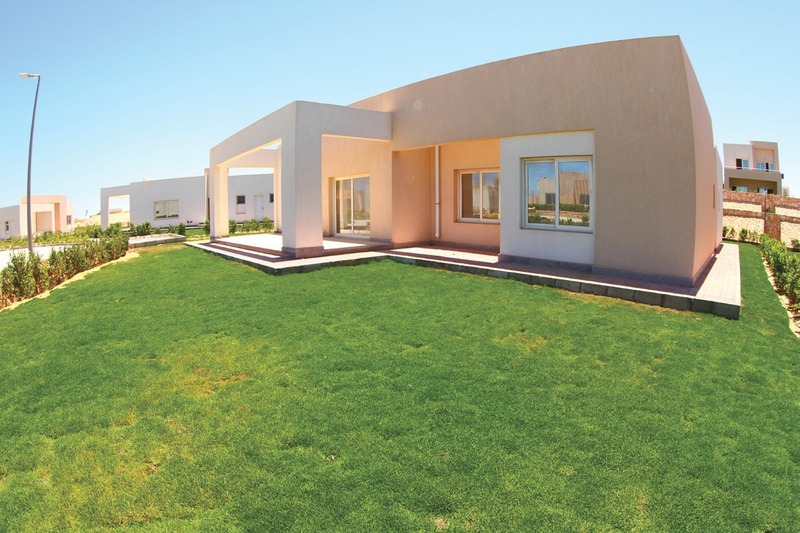 It is handy to the new Alamein city and is only 40 km away from the international airport. The resort also boasts two 5-Star hotels and a 4-Star hotel. There is a luxurious club house overlooking the bay, a sports complex that includes tennis courts, volley courts, football playgrounds and squash courts in addition to a water activity hub with sky-boarding , hover-boarding and other leisure facilities. Amenities: The resort also has a 170,000 m2 commercial area with access from the Alamein road. Finishing Specifications: Bo Sands units are delivered fully finished. Bo Island chalets and villas are delivered as core and shell. Payment Plans and Facilities: Bo Sands : 10% deposit followed by an up to 7-year payment plan. Bo Islands: 15% deposit followed by an up to 7-year payment plan. Date of Delivery: Phase 1 delivered. Location: Marseilia Beach 4 is strategically located on the golden square of Sidi Abdel Rahman Bay at Km 124.5 of the North Coast road. Available Units: Most of phase one and phase two are sold out. 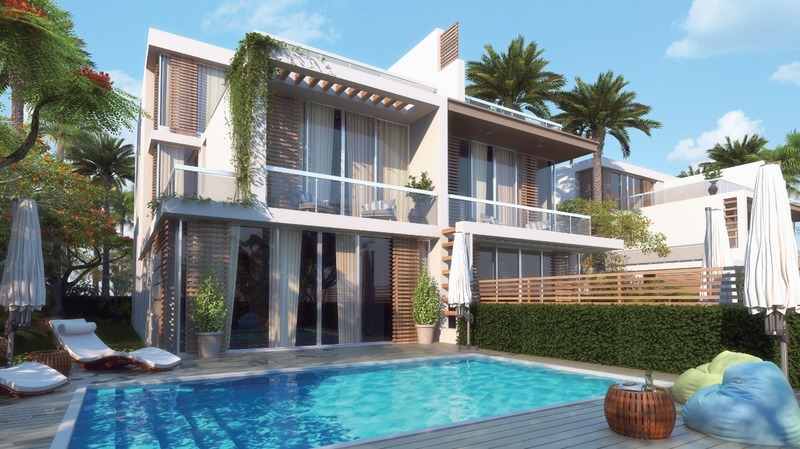 Phase three offers a variety of chalets starting from 85 m2. Villas start from 180 m2 and Palaces start from 680 m2. All units are seafront homes and each of the different zones of the resort offers a swimming pool or a garden view. Attractive Features: Marseilia Beach 4 enjoys a shopping mall, a children’s area, water sports, swimming pools, a sports area, an artificial lake, cafés and restaurants and hotel apartments which will be opened with phase three. Sprawling over an area of 140 acres, this stunning mixeduse second home resort brings together the best features of a North Coast lifestyle. Nestled among lush landscaping and greenery, the resort focuses on spacious open spaces with stunning water features, large lakes and fountains. Finishing Specifications: Marseilia Beach 4 combines a mix of chalets and villas boasting understated, yet luxurious modern architecture. All units are fully finished to international specifications, tailored to meet each client’s individual taste. Payment Plans and Facilities: The payment plan is 5% down payment, with instalments over 6 years without interest. Date of Delivery: Phase one is sold out and delivered. Phase Two is under construction and will be delivered in 2020. Phase three has now been launched. 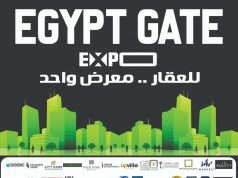 Future expansion: There are several new projects under development, both inside Cairo and on the North Coast. Location: Mena5 is located in Ras El Hekma, midway between Marina and Marsa Matrouh, 95 km after Marina and 85 km from Matrouh, and 15 km from the new Cairo- Fouka Road. 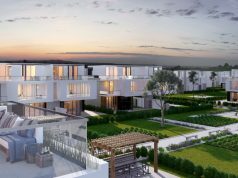 Available Units: The project area of 65 acres includes 351 units: • 2 types of standalone villas with areas of 275 m² and 300 m². • 2 types of chalet with areas 146 m² and 170 m² (3 bedrooms). • Cabins All units have a sea view except from the ground floor. 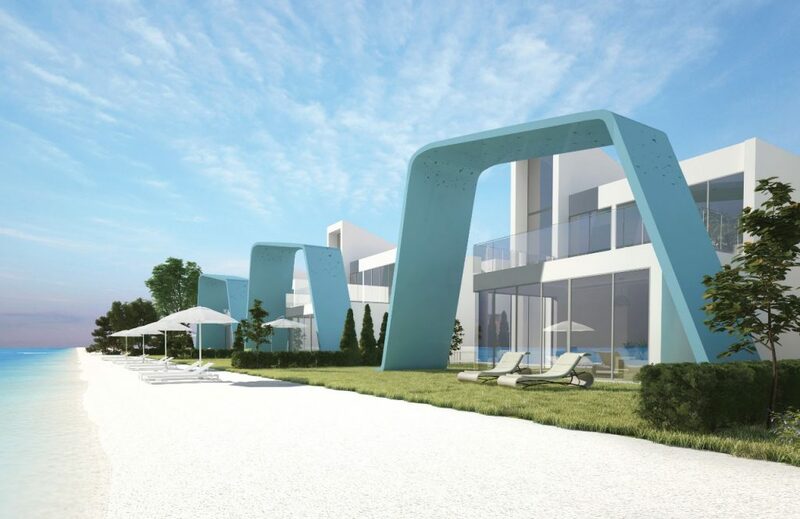 Attractive Features: The project has a resort hotel, swimming pools, entertainment facilities, a children’s area, an aqua park, a commercial area and a beach club house. Ras El Hekma enjoys crystal clear water and has been designated as a natural biological park to protect the environment. Finishing Specifications: All units are fully finished. Payment Plans and Facilities: 20% down-payment, instalments over 6 years. Date of Delivery: Phase one has been delivered and phase two is under process. Egypt’s glorious North Coast has become the playground of dreams. Endless beaches, azure sea and a cornucopia of select properties to suit all tastes and budgets. Lifestyle options abound, from serene escapism to family-friendly communities. Access has become much easier, and facilities and amenities rank amongst those of prime resorts around the world. There has never been a better time to invest in the happiness and wellbeing of your family, by selecting a second home where you can create memories of wonderful summers. Contact information for these desirable developments. Wishing you a happy summer, with many more to follow!